As well as being a cultural, spiritual and culinary hub to over 3.2 million tourists each year, Bali has a certain ‘permanent residency appeal’ to it. While many find the step from occasional traveller to full-time paradise resident a big one, we’re here to tell you it’s time to take the next step and say ‘yes’ to Bali. So book that one-way flight and get to your new island home. Bali’s humid climate and volcanic soil are the perfect conditions for growing and unearthing tropical fruit. You will never be too far from the sweet taste of a fresh coconut which will make Bali’s intense heat completely tolerable. Mothers and grandmothers, the world’s favourite cooks, are scattered around the island as food vendors. Using recipes that have either been newly crafted or handed-down from past generations, they create comfort food that warms the stomach and can soothe even the most homesick soul. For green thumbs and those who love creating meals with ingredients sourced directly from growers, Bali will delight. The island’s pasars (local markets in Bali) allow you to handpick ingredients and chat to growers about their produce. This recent transition from supermarket shelves to produce market stalls allows for an interactive culinary experience. 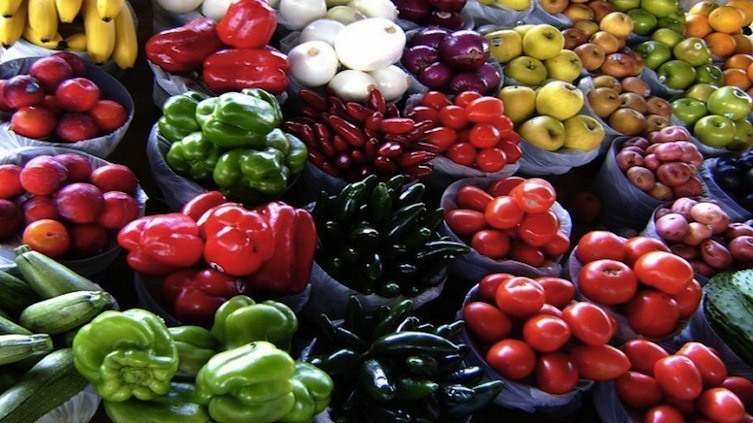 Make the most of Bali’s natural supermarket and visit Ubud’s Organic Market. Here you will find a range of fresh produce as well as medicines, ointments, nuts, wheat-grass, tea, coffee, seeds, raw chocolate, soy milk, cakes and warm bread straight from the oven. There’s even incense, mosquito repellents and cleaning and skincare products on offer. 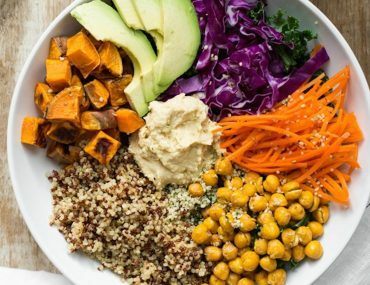 One of the best things about this organic food movement is that the products are sourced from local independent growers and businesses, and made either chemical-free or with as few chemicals as possible. Not only is it great for you, but you will be saving money as produce from supermarkets is more expensive. Think of the Balinese pasar as your one-stop shop that sells everything you’ve ever wanted from a health conscious store without the pretentious pricing and intimidating shopkeepers. Having been born in Australia and raised in a proud Filipino family, I have never been deprived of culture and warm hospitality. 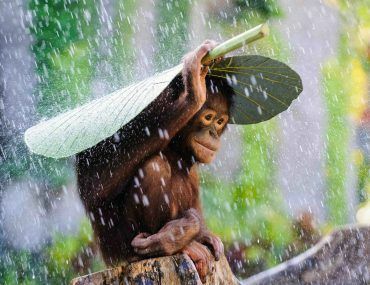 I feel the same way in Bali. Whether it’s your first or 100th visit, everything is familiar. It’s one of the many reasons why people fall so hard for the island and its people. It hardly comes as a surprise that a recent study by global market research group Ipsos revealed that, out of the 23 countries surveyed, Indonesia was the happiest. 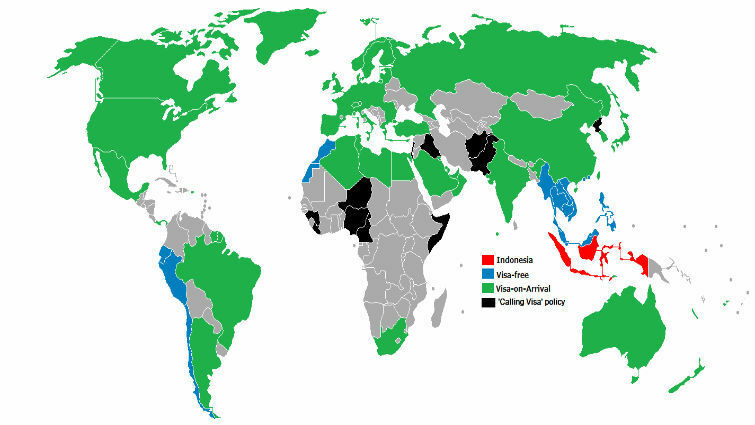 Around 55% of the people surveyed said they were “very happy” compared to 41% in India who ranked just below. As well as being happy, Indonesians are some of the most welcoming and friendly people you will come across. With over 20,000 temples in Bali (that’s at least three in each village), it’s comforting to know that Bali embraces spirituality. The island is made up of a mix of Hindu and Animism followers, despite the majority of Indonesia practicing Islam. Galungan, a 10-day feast honouring ancestors’ spirits and the creator of the universe, Ida Sang Hyang Widi, is a major event in the 210 day Balinese Pawukon Calendar. During this time, Balinese Hindus celebrate Dharma’s (‘good’) victory over Adharma (‘evil’). Long bamboo poles are placed at the front right side of every home and decorated with colourful fruits, rice, coconut leaves and flowers. Similarly, temples are filled with food and flower offerings from families as a way to show gratitude and pray for protection. Many locals use the day before religious events to prepare, so keep in mind some businesses may be closed on this day too. On the final day (‘Kuningan’), the festive fever rises and streets are coloured with special performances, sacred rituals and pilgrims hailing from all over the island. Tip: Sakenan Temple on Serangan Island Denpasar’s south is definitely the place to be during this time. 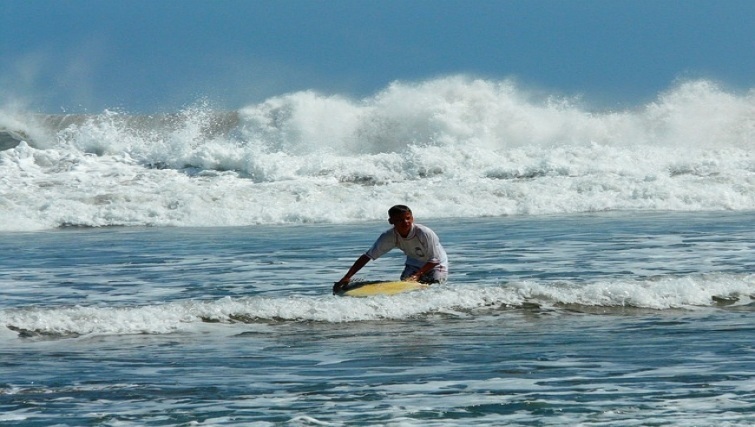 So, how exactly do you turn a chance meeting with Bali into a long-term commitment? A move anywhere, laid-back Bali included, can attract a rather large upfront price tag. But trust us, once you’re settled in to island life, there will be so many perks and cost-savings that you will find it hard to leave. Personal chefs, on-call chauffeurs and secluded luxury villas are not just for the rich and famous. 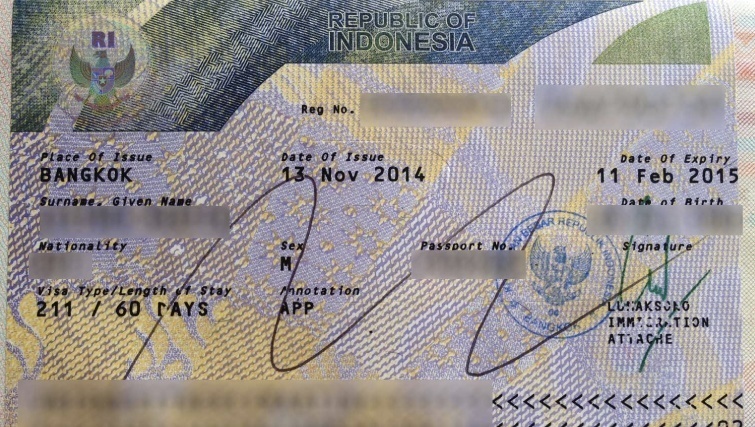 Having a domestic staff is actually quite common in Indonesia but be sure to do your research. A good rule to follow is to be clear, respectful and always have a getaway plan. Be straightforward when you outline the salary, expectations and period of time you need the person to work. Check every reference and get a backup contact (in addition to the agency) who will be able to contact the person should you not be able to. Be clear on what you need and when you need it, but also respect their requests to have holiday leave. Catching the flu or needing a day off is part of being human so create hypothetical situations and prepare realistic solutions. Is there a day-care centre or school offering a drop-in program nearby? Can you have groceries delivered to your home? Is there a friend or colleague who can help with carpooling? Staff usually either stay in your house with you (live-in) or work as if it was like any other job where they arrive at a certain hour and leave at the end of the day (live-out). Drivers (sopir or supir) are incredibly useful when it comes to navigating the island and minimising stress. Many companies often provide expat workers with their own driver, but there are also agencies available to give you a helping hand. Aside from driving, a sopir will be responsible for performing routine checks and maintenance on your vehicle, and anything else you both agree on. Be sure to do your research to determine if they are a safe driver. Ask where they travel on a regular basis and what kind of vehicle they usually drive. If their car tail is broken and their front door has fallen off, it’s usually a good indication that safe driving isn’t their strong point. If you don’t want a driver, be sure to get an international driver’s license to avoid fines. While the cost to use public transport is cheap, journeys can be quite lengthy and uncomfortable. A security guard (satpam) may also be a comforting option for anyone living in Bali alone or for those who would like to feel more secure. 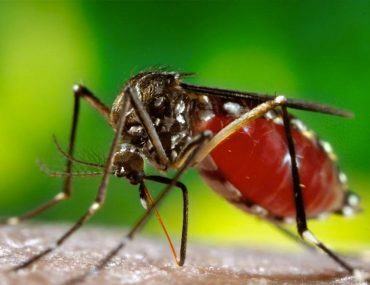 Similarly, a jaga is available to screen and deal with unwanted guests and any visitors. Remember, you can be as strict as you like when creating and marking your checklist. You are hiring workers who will be responsible for your safety, health, family and belongings. 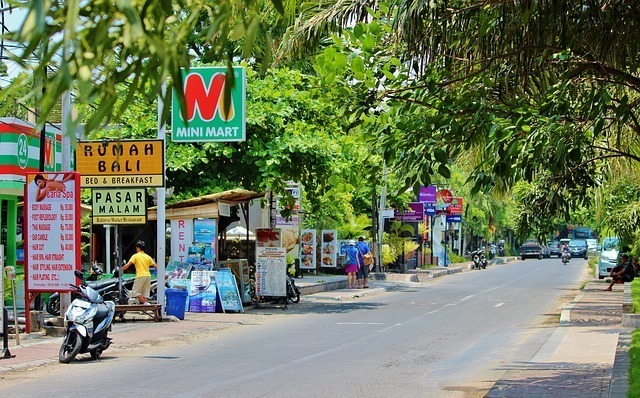 Like with many services in Bali, English-speaking workers will tend to cost more. 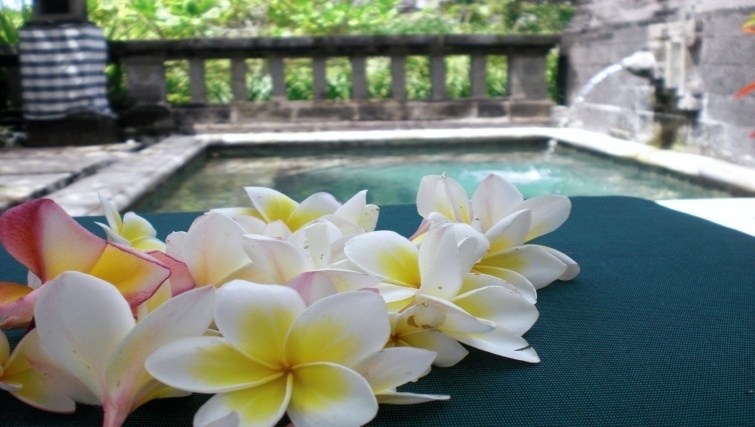 The price tag for most houses, serviced apartments and villas in Bali is, on average, IDR23,000,000 per year. There’s also the option of finding a room in a luxury villa and prices for this normally range from IDR5,000,000 to IDR6,000,000 per month. Otherwise, you can choose to stay in a terima kos which is essentially just an empty room. Price range from IDR1,000,000 to IDR4,000,000 per month. While a private bathroom will be included in every kos, a kitchen isn’t a given and will slightly bump up the price. For great living options, Ray White Paradise Property Group has everything you can expect from a popular and familiar real estate name. Their website is easy to navigate and includes detailed information with quality images. Some of the properties are also priced in USD to help compare costs. Bali Reality is another great real estate company made up of both Western and Indonesian real estate experts with a love and focus for Bali living. The company provides other services such as investment sales and project marketing and development. If you’re dreaming of a fresh start and looking to build your company or home from the ground up, it might be useful to spend time searching for land to make your long-term plan more worthwhile. Read every single review and dig deeper into the negative and positive aspects of each comment. Find photos that show every angle of the property to ensure you get the most realistic, not just pretty, overview of the place. This will help to show exactly what’s included and how well it has been maintained. Use the little yellow man in Google Maps to get a street view. Make sure you’re comfortable with the location and how far you have to travel to get to other places as well as what’s available in the area. Research the source and ask questions. How reliable is the company you’re using to search for a home? What checks and procedures are done to make sure the place meets certain standards? How accountable and easily contactable are the hosts? If you’re just wanting to dip your toes into Balinese living before committing to anything serious, try renting a self-contained villa offering similar features to what you want in your own home on your next holiday. Consider things such as what kind of access you need to the villa, how many and what kind of staff you’re looking for and what sort of extras you’re wanting. When it comes to employment Bali is a great place for creatives, self-starters and anyone looking to head in a new direction. Just look at Ben and Blair who took a serendipitous flight to Bali and ended up staying to create Big Tree Farms (aka the largest organic farm on the island). Or there’s our own Britain-to-Bali expert and success story, Liam. 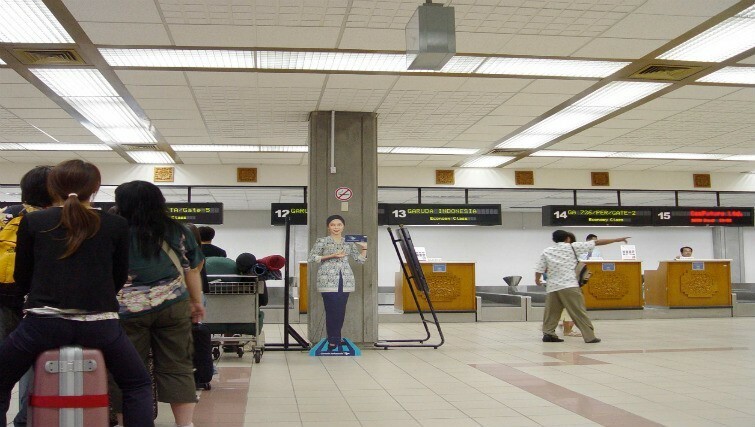 Before arriving in Bali, confirm you have everything you need with the local embassy. 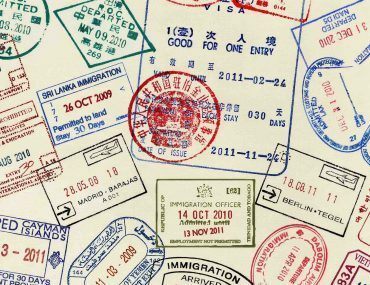 Ensure you have a work permit rather than a business visa. 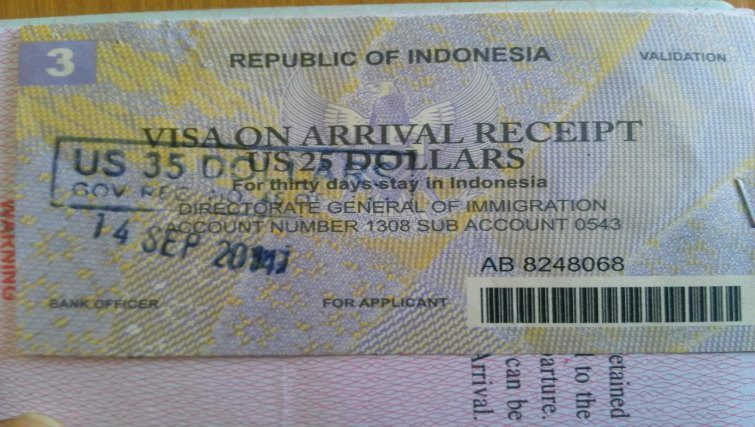 A business visa will only allow you to remain in Bali for 60 days and is given strictly to those who can show a letter from their employer stating that the employee will be doing business in Indonesia, as well as a written guarantee to prove costs will be covered. 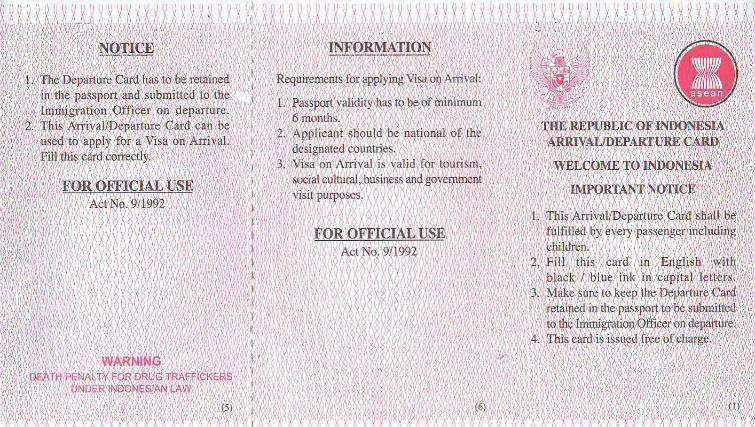 If you don’t qualify for either of these visas you will need to apply for a tourist visa, which will limit your stay to a maximum of 30 days. But who wants to sort documents when you can dig your feet deep into the sand, rest back on a mushy beach towel and sip margaritas? Not me. 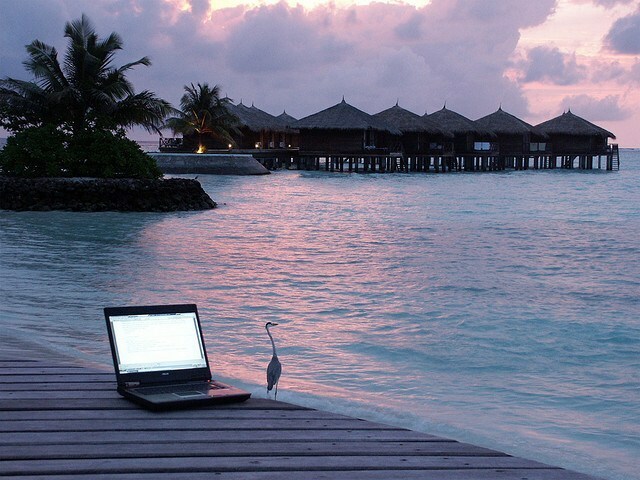 Similar to anywhere else in the world, job hunting in Bali can be tough. 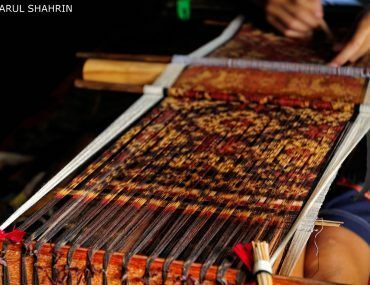 Some Indonesian companies may prefer to employ local workers. There might be other challenges such as applying for a visa and making sure that you and the company have a work permit. So secure a job in Bali or hire an immigration agent before heading on the plane to complete the final stages of your life-changing transition. If you’ve already arrived in Bali and are looking for work, the most effective way to secure a job is to network. Building relationships and rapport through a more relaxed setting, such as a work lunch, will allow you to get a better insight and to see where you stand. Make yourself known and keep a few resumes on you at all times. Who knows, you might just bump into someone who could become a mentor, employer or client. Joining social groups and becoming involved with charities and organisations are also great ways to meet like-minded people who might lead you to fantastic opportunities. For up-to-date job listings, check out Bali Times and Indeed. Fortunately, recent changes to health insurance means that things just got a whole lot more secure for those living in Bali. 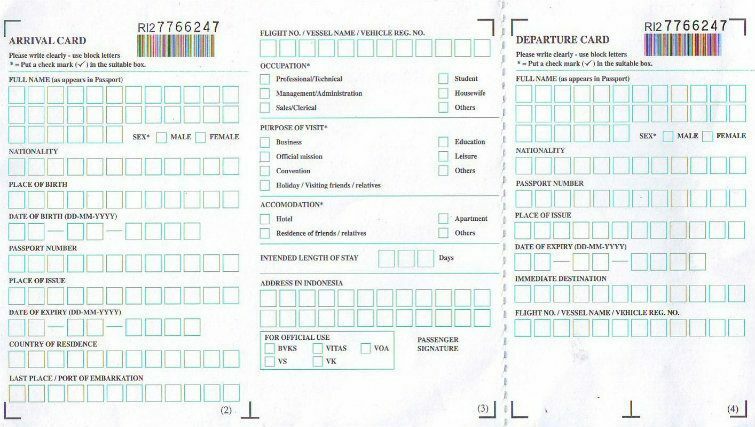 From January 2014, Indonesia’s own citizens as well as foreigners living in the country, are covered under the Indonesian National Social Health Insurance (JKN) led by Indonesia’s Social Security Organising Body (BPJS). Anyone working as an employer, independent entrepreneur (someone hired to work but is not an employee or agent for that person) and informal workers (those who work without an official contract arrangement) must apply as an individual and pay premiums directly to the BPJS. No more than five members of a foreign employee’s family can be covered under the healthcare program, and employers are responsible for paying employees’ premiums. For silver foxes looking to relax, what could be better than a glass of red wine at sunset on Lovina Beach? I may be a few decades away from retirement, but there are still a couple of tips hidden under the wings of this spring chicken. Retirement visas are available to anyone 55 and over. The visa allows you to get a driving license and buy a vehicle under your own name, open a bank account and essentially have more freedom with fewer legal risks. 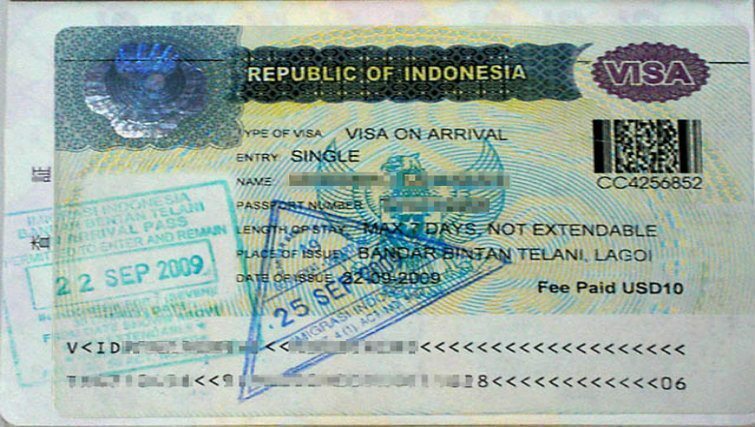 It’s a good idea to seek advice from an agency such as Visa Bali before applying. 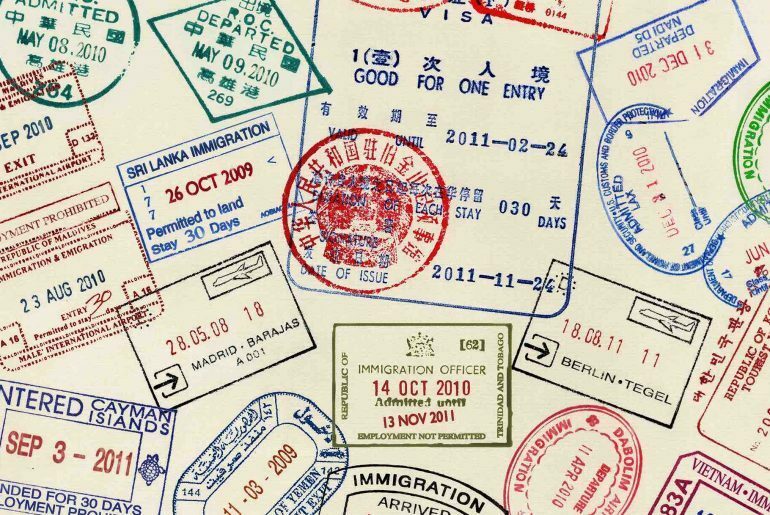 Travel registration is an important thing to check off your list before leaving for overseas. Register your name through the government website to receive important notifications and become easily contactable and identifiable in an emergency. Sentosa Residence Umalas, a new affordable and secure 6.5-hectare residential space housing 113 homes, is Bali retirement at its best. The exclusive resort has a range of features that will make any family member envious, including several international restaurants, a clubhouse, an outdoor cinema and specialised spas offering a range of treatments from massages to anti-ageing procedures. Keen golfers will enjoy teeing off at the Greg Norman designed Nirwana Bali Golf Club where many professionals go to play. If golfing is your thing then be sure to enjoy an afternoon game at the New Kuta Golf on the edge of Nusa Dua Island. With awe-inspiring views, it’s the perfect place to improve your handicap. Family life in Bali is everything you’d expect from a Hallmark card. 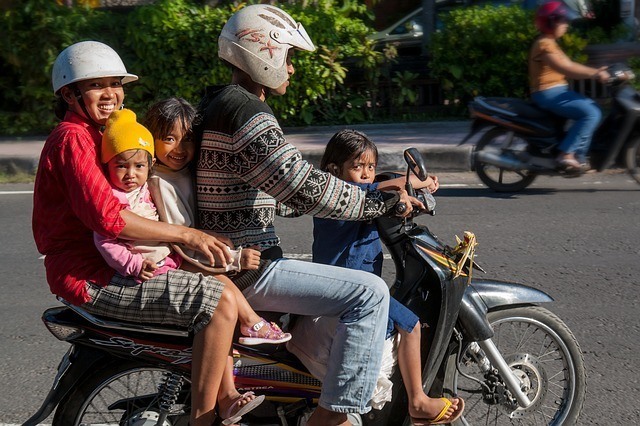 Family values are a huge part of Balinese life and this makes it a great place to raise children. 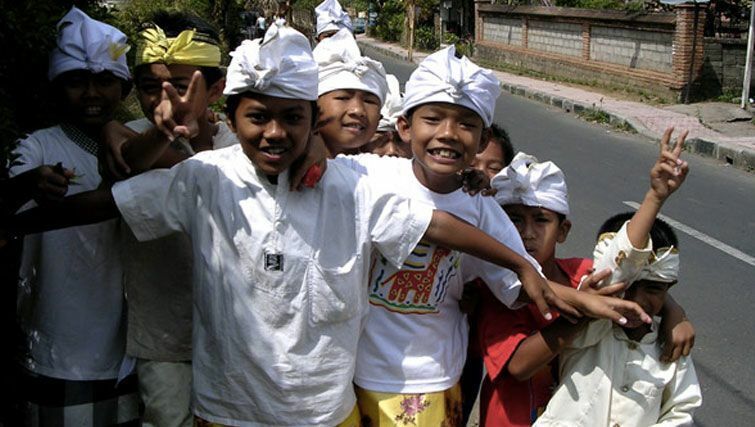 There are plenty of opportunities for children to take part in the same clubs and groups as they would in other places around the world, as well as to engage in Balinese traditions and culture. 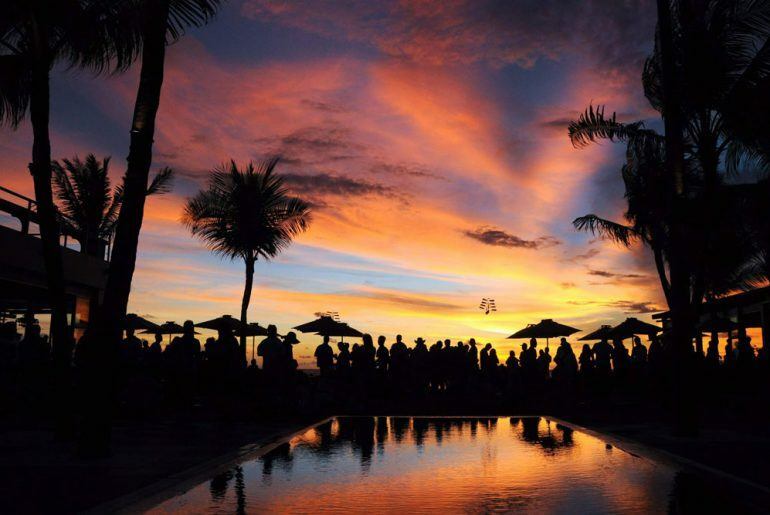 Around 15 minutes from Seminyak is the Canggu Club, a family-oriented club where expat families can meet like-minded people. A day pass costs approximately IDR 240,000 for adults and IDR 120,000 for children, while membership costs vary depending on the length of subscription. Family packages are also available. The club has a range of facilities including Cubby House Kids Club which caters to children aged 2 to 12 years. Children will be entertained for hours, learning different skills such as reading. The club also provides healthy meals for the children. Meanwhile, parents can enjoy spa treatments and personal training sessions, or simply hang out with other members at the club’s restaurant and bar. On the weekends, families may enjoy learning about Balinese history and culture by visiting a local village. It’s a great way for children to be exposed to a mix of traditions and beliefs and also to see a different part of the island. Watching television and reading a menu in a restaurant can be an easy way to learn and practice the local language, Bahasa Indonesia. Finding a family doctor and dentist is an important part of getting settled in a new place. Try to avoid clinics where prices are ‘too good to be true’. Normally they are. Be clear on what type of procedure you need and how you want it done. The BIMC Hospital Dental Centre in Nusa Dua and Kuta has a good reputation and upfront pricing. For more tips on making the most of your new island home, check out the article ‘moving to Bali‘. Remember, heading overseas isn’t like moving to another state. You’re also transitioning into a different culture and set of norms, a new language, an unfamiliar road system and a situation where visiting family and friends back home takes a few hours by plane. Consider the possible changes to your current budget. How much are you prepared to invest and what are some management strategies if something unexpected were to happen? A big move involves investing a lot of time, money, and mental and emotional energy. It’s a full-time commitment. Bali has a reputation for its abundance of fumbling backpackers in Bintang singlets, stunning beaches, cheap beer and ability to sweep travellers away from all that is boring and predictable. In fact, some get so swept away that it becomes one endless, life-changing vacation.